Senator Cory Booker has introduced unprecedented legislation that would dramatically decrease testing on primates. And in many instances, primate testing will be banned. No experiments anywhere on primates without the approval of a panel of experts. This panel will also include members who are against primate tests. No outsourcing to evade the law. No transferring primates to corporation - only to sanctuaries. Budgeting for sanctuary retirement will be mandatory. Here's how you can help. Without enough support in the Senate this bill can't move forward and help countless primates suffering behind closed doors. Please ask your Senators to co-sponsor this legislation today. With your support this legislation will make history by making primate testing history. Thank you! I am writing to respectfully request you cosponsor S.3773, a bill by Sen. Booker (D-NJ) that would end many abusive medical experiments involving non-human primates like monkeys. 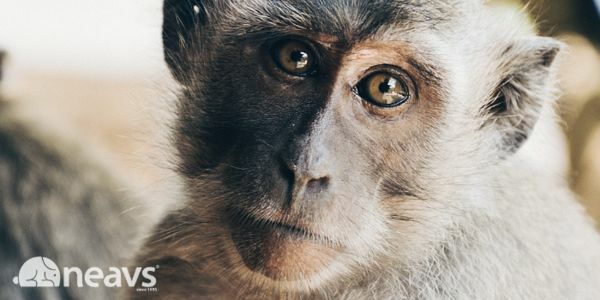 This legislation is badly needed because the number of primates suffering in isolation in cruel and deadly medical experiments has never been higher. As of 2017, nearly 76,000 non-human primates are suffering in experiments. Despite the National Institutes of Health assuring Members of Congress that they were looking to "reduce, replace, and refine" primate experiments, the latest data shows that NIH isn't taking their reduction mandate seriously. Non-human primates are our closest relatives in the animal kingdom. While other countries are reducing or banning primate testing, in the United States this problem is only getting worse. As such, Sen. Booker's legislation is badly needed, and I hope you will give it your support by cosponsoring it today.